The coast takes its name from the colour of the sea in the region under certain conditions - an idea inspired by the success of the name 'Cote d'Azur' in promoting tourism in Mediterranean France. When you visit the Emerald Coast you will discover some of France's most impressive coastline, with rocky headlands jutting into the sea and backed by a landscape of gorse and heather, numerous small beaches and villages, and several fascinating historical towns. 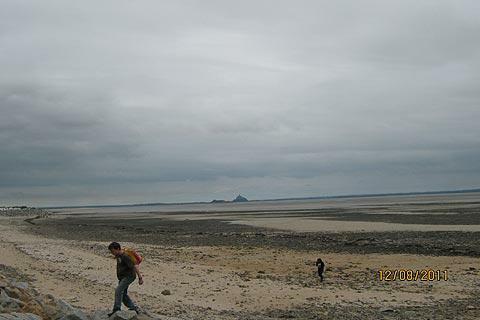 Start your exploration of the scenic highlights perhaps by visiting the headland at Cap Fréhel, which is among the most impressive scenic highlights in the region with its dramatic cliffs and a setting typical of the Emerald Coast, or at the Pointe du Grouin headland noth of Cancale. 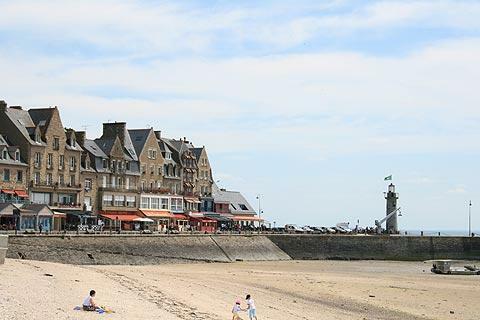 There are several important towns and resorts to explore along this stretch of coast including (from west to east) Saint-Cast-le-Guildo; Dinard, a longstanding coastal town with much of interest to discover (see also Dinan a little way inland); the historical port town of Saint Malo (the earliest important town to develop along this coastline, and with a fascinating 'old town' with numerous important buildings); and the town of Cancale, based around a picturesque harbour well known for its oyster production. 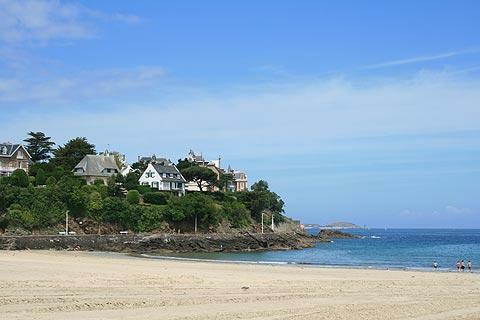 The most popular seaside towns and resorts along the Emerald Coast include Cancale, Paramé, Saint-Briac, Saint-Lunaire, Lancieux, Saint-Jacut de la Mer, Sables-d'Or-les-Pins and Saint-Cast-le-Guildo - the beaches and facilites at Saint-Lunaire; the village and beaches at Saint-Briac; and the water sport facilities at Lancieux are among the particular highlights. 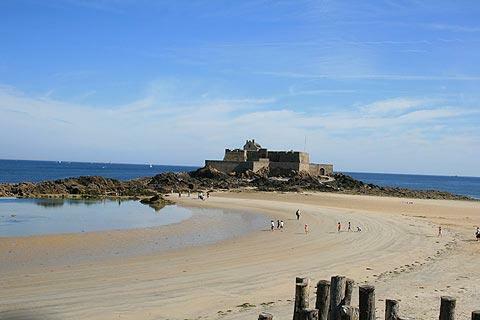 From abandoned forts to prehistoric dolmens, from small chapels to grand manor houses and small fishing cottages, and from the grand 17th century houses of Saint-Malo to the 19th century villas so typical of towns such as Dinard, Saint-Briac and Saint-Lunaire, there are numerous architectural highlights to be enjoyed here. 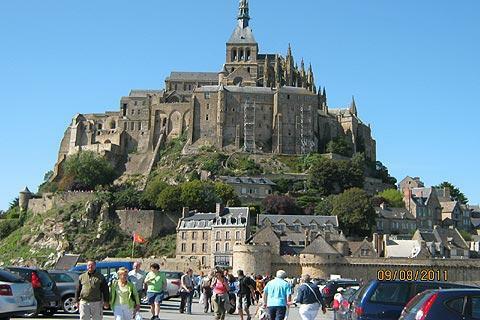 Although slightly outside the Emerald Coast, no visit would be complete without also visiting the island and abbey at Mont-Saint-Michel, one of the most impressive (and popular) destinations in France. 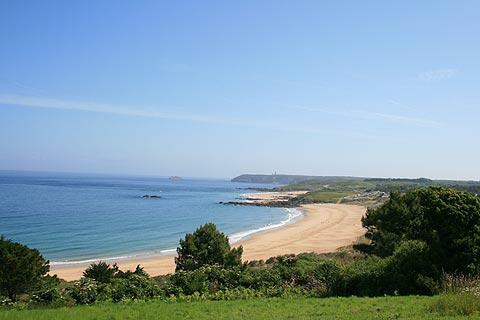 Ease of access from both mainland France and from the UK mean that the area is rarely short of visitors during the summer months - as a result some of the beaches can become quite crowded, and parts of the coast have been rather overdeveloped with campsites etc. 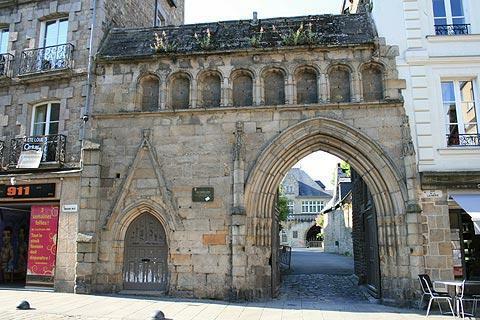 If you are visiting for the scenery and historical towns and ports rather than for the beaches you might like to visit outside July-August.